18th April – 18th May 2011. 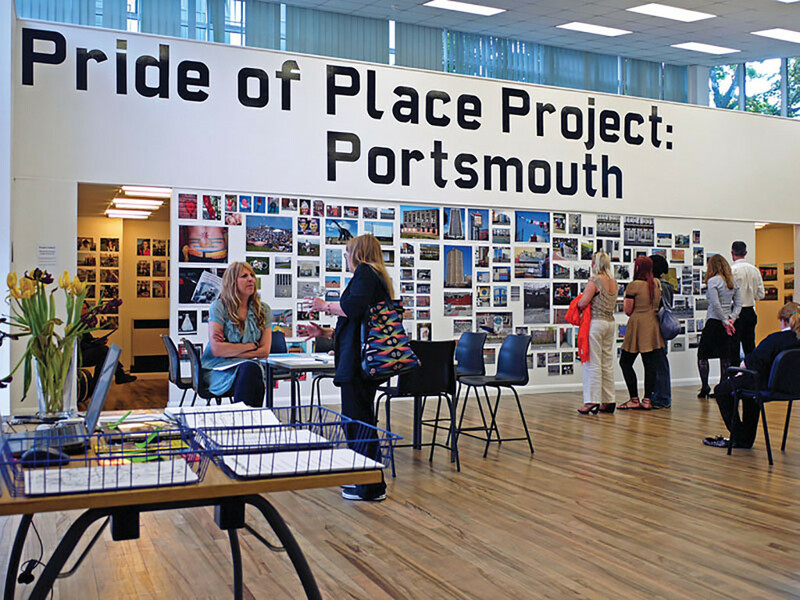 Our first Pride of Place Project was a month-long evolving exhibition featuring new and archival images of the city and Portsmouth Video Portraits by The Caravan Gallery. Visitors were invited to complete the display by annotating a People’s Map and adding their own contributions to The People’s Wall and a display of artefacts found on the streets of Portsmouth. Students from Mayfield School created postcards and souvenirs and local writer Maggie Sawkins led a creative writing session inspired by our images of the city. The outcome resembled a dynamic and refreshingly anarchic visitor information centre. A selection of images from the exhibition and our Portsmouth Video Portraits are on permanent display in No Place Like Pompey at the City Museum. SPACE Gallery, University or Portsmouth, Eldon Building, Portsmouth.